Between trees and highway I roam, my glance moving up and down from the soil to the sky. My pace quick, something catches my eye, but I don’t realize what it is until I am several steps ahead. I gasp, pause and slowly step backward. What is this next to my toes? There, poking out of the mud, I see a heart. 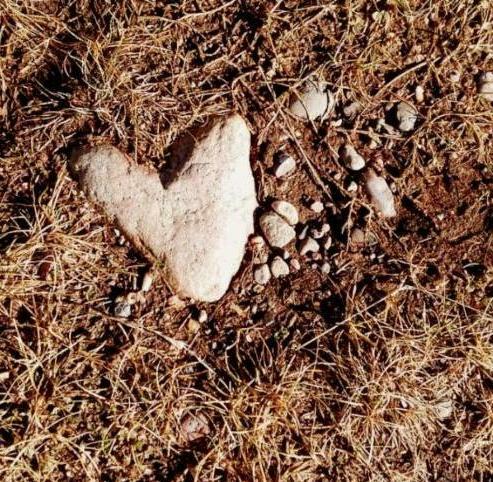 A heart shaped not from melting snow but stone. Amused by the Lenten call to conversion, I grin and think of Scripture.